My dad and I have tried growing our own before, but they only made it to about the size of a grapefruit and ended up as food for garden critters. Because watermelon is one of my favorite summer fruits, I get my fix from ones grown by professionals now. Read up on the benefits of this melon and how to pick the perfect one. Watermelon ( Citrullus Lanatus) is related to squash, cucumbers, cantaloupe and pumpkins, which all grow on sprawling vines on the ground. A native to Africa, this melon was a refreshing treat for the Egyptians 5,000 years ago! 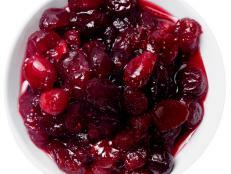 The fruit eventually made its way around the world; early explorers actually used them as canteens. More than 96 countries around the world produce more than 1,200 varieties of watermelons. The U.S. and Mexico alone grow 200 to 300 varieties, including 50 of the most popular. The 5 most popular are seeded, seedless, mini, yellow and orange flesh. Watermelon season runs throughout the summer -- from May to September -- but the exact range depends on where you live, Keep an eye out at your local farmers market. You can't miss these big guys, and there will be plenty at peak season. Yellow and Orange Flesh: round and average between 10-30 pounds; "Peace," a hybrid variety, is a very juicy, yellow-fleshed melon. Fun fact: The largest watermelon ever grown weighed in at 262 pounds. Produced by Bill Carson of Tennessee in 1990, it's listed in the 1998 Guinness Book of World Records. 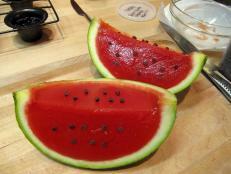 Watermelon contains 46 calories per cup and has no fat. As the name indicates, it’s mainly composed of water (92% to be exact). These melons are a good source of the antioxidants beta-carotene and vitamin C. They also contain the powerful antioxidant lycopene, which is associated with a lowered risk of cardiovascular disease and cancer. 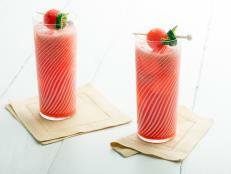 While tomatoes get most of the lycopene love, 1 cup of watermelon contains the same amount as 2 medium tomatoes. 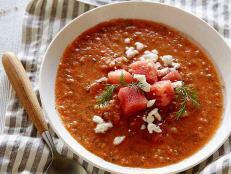 Unlike tomatoes, lycopene in watermelon doesn't need to be cooked to enhance its potency. On a hot day, there’s no substitute for a cold slice. 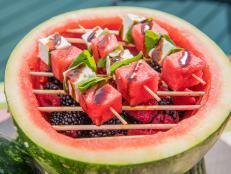 Watermelon is equally refreshing in a fruit salad or on skewers accompanied by a yogurt dip. Don’t forget salsas, sorbet, smoothies and cocktails as well. 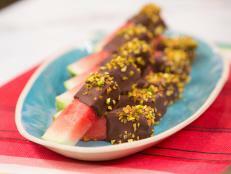 Have you ever tried watermelon with cheese? Every summer when I go to Israel, my mother-in-law has chilled, sliced watermelon and cheese waiting for me -- it goes great with feta. Another unusual variation: add a bit of lemon juice, a few drops of hot sauce and a sprinkle of salt on some slices. This idea comes from south of the border. Most of us love sinking into the juicy flesh, but did you know that the seeds and rind are edible, too? The first U.S. cookbook, published in 1776, contained a recipe for watermelon rind pickles. 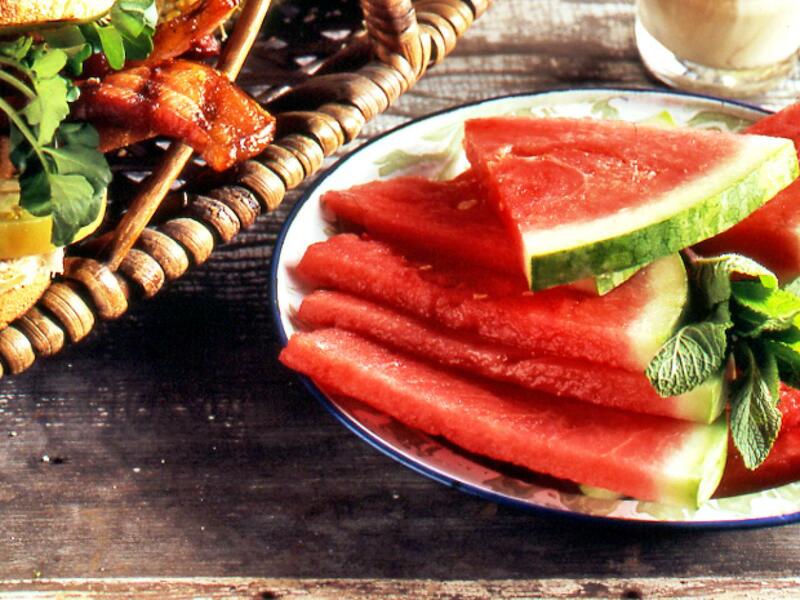 In fact, many countries consider watermelon seeds a delicacy; roasted seeds are especially popular in Asia. 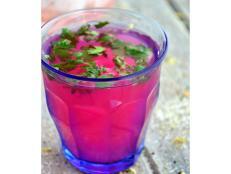 Shopping Tip: Choose watermelon that is firm and free of bruises, blemishes and cuts. Store whole melons at room temperature for 7 to 10 days. Once you slice it, stash extras in the fridge for about 3 days; just cover the open surface tightly with plastic wrap to prevent it from drying out or absorbing other food odors. 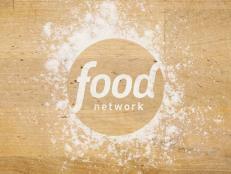 Each month, Food Network Kitchen chefs put more than 100 recipes to the test for Food Network Magazine. Dreaming up gelatin desserts for the July/August issue proved no easy feat: Find out how they did it.